In their featured address, the Gottmans explored what research has revealed about the crucial role the brain’s seven different command systems can play in enhancing the quality of couples’ emotional connection. 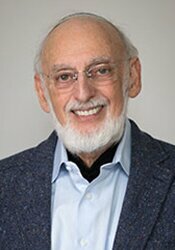 By John and Julie Gottman - A second revolution is quietly taking shape—a new wave of systems theory and therapy—that marries the wisdom of clinical intuition with the rigors of scientific inquiry. With more precision and accuracy, we can now begin to answer two key questions about relationships: what causes trouble between people and what helps them not merely survive together, but actually rekindle love and delight?